Combine syrup, rosemary and sea salt in bowl. Add almonds and toss to coat well. Spread on a cookie sheet and bake in middle of oven 5-8 minutes, watching carefully to make sure they don’t burn. Cool slightly and break up, then finish cooling. 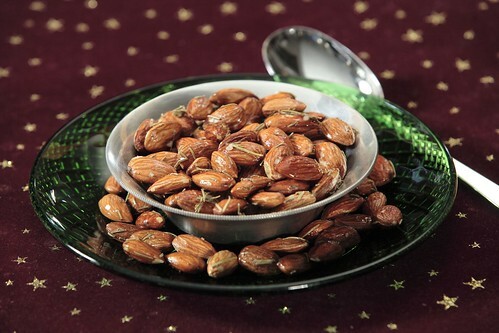 Nuts may be made ahead and kept in an airtight container. Serves four to six as a snack.